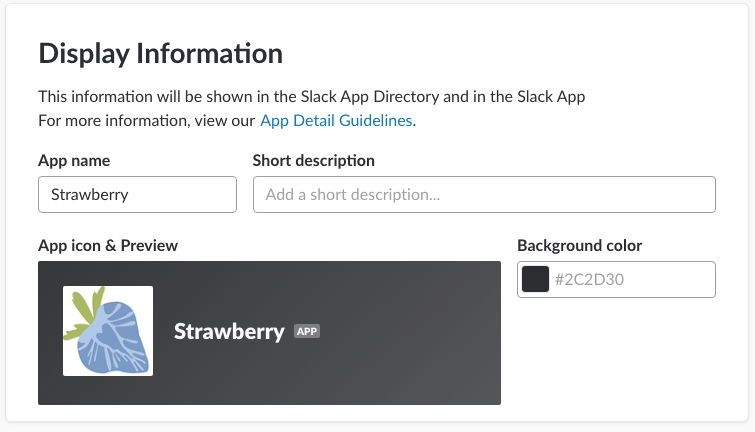 Strawberry can send notifications to your organization’s Slack users via a Slack Bot. 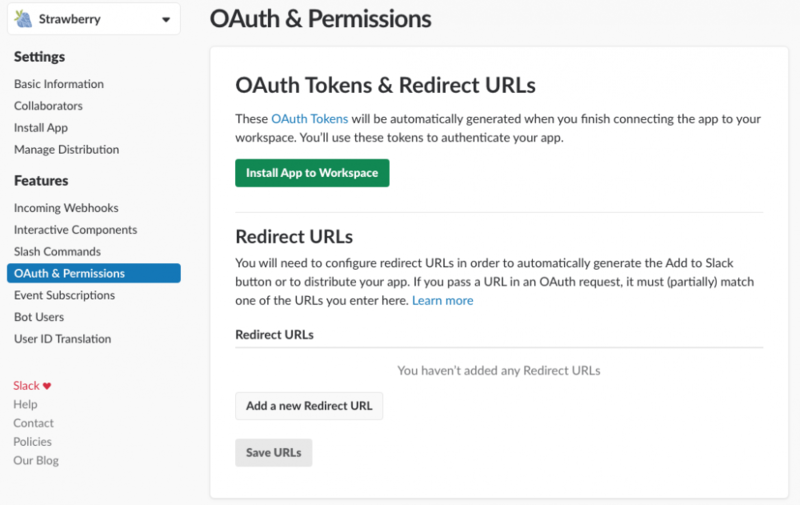 This chapter explains how to set up a Slack bot bot. 6. On the basic information, page scroll down to “Display Information” and customize your app as needed. 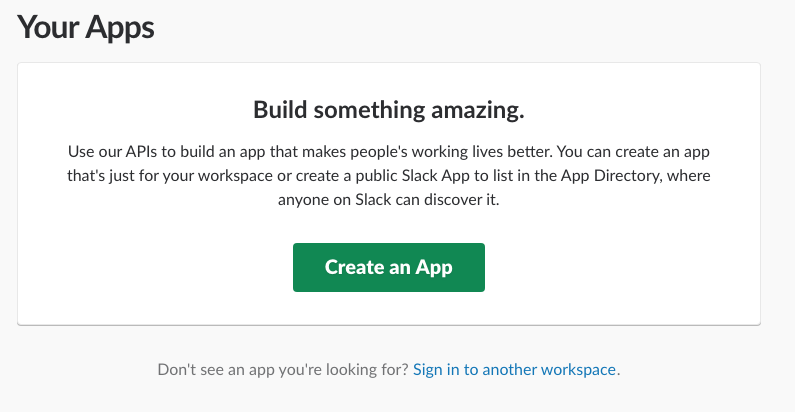 You must set a Background color for your app as this is required by Slack! 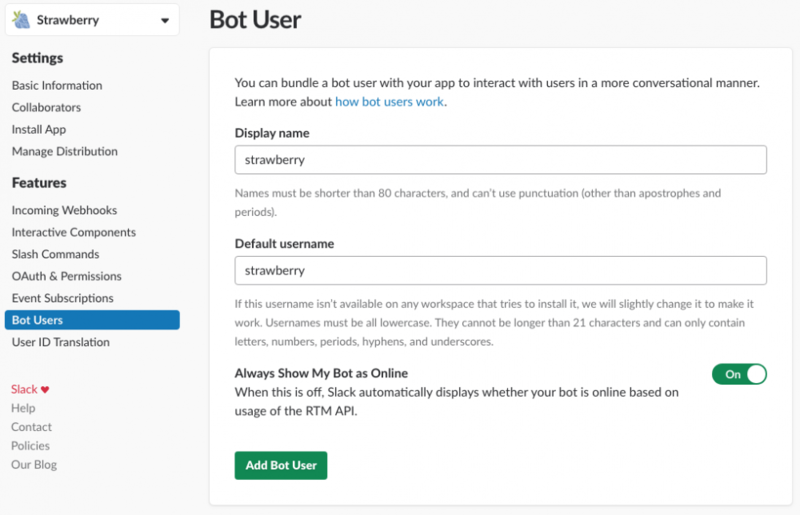 Click here to download a Strawberry logo for you Bot.